Hey there. You know, Toad has always been one of my favorite characters from the Mushroom Kingdom. Whenever he's available as a playable character, more often than not, I choose him to be my guy. 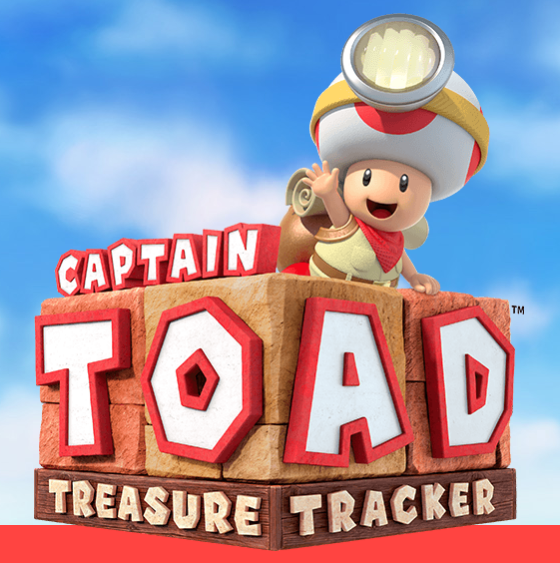 So when Captain Toad: Treasure Tracker was announced for the Wii U, I was pretty glad that my man Toad was getting his own game and adventure! The premise of the game is to retrieve the coveted Power Star and save Toadette from Wingo, a giant, greedy bird that steals the Power Star and kidnaps Toadette. As Toad, you'll need to go through 70+ puzzling stages, collecting gems and power ups along the way. If you have played Super Mario 3D World then you are familiar with the game play for Captain Toad. 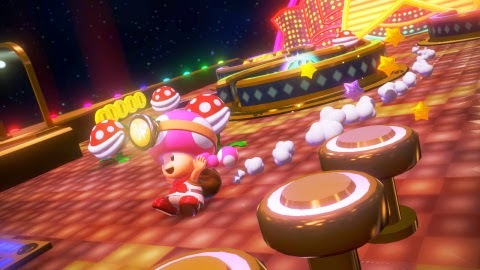 Fans loved the Toad stages so much that Nintendo decided to expand on them and give Toad and Toadette their own adventure based on those stages. Once you have saved Toadette from Wingo, she becomes available as a playable character! Toadette, ready to rock and roll! Captain Toad: Treasure Tracker will be available at local retailers for the Wii U on Dec. 5th, 2014 for $39.99. You can also download it directly from the Nintendo eShop if you don't want to go anywhere. lol So what do you think of the staring the main fungus from the Mushroom Kingdom? Are you familiar with the stages from Super Mario World 3D? I would love to hear your thoughts! Later!